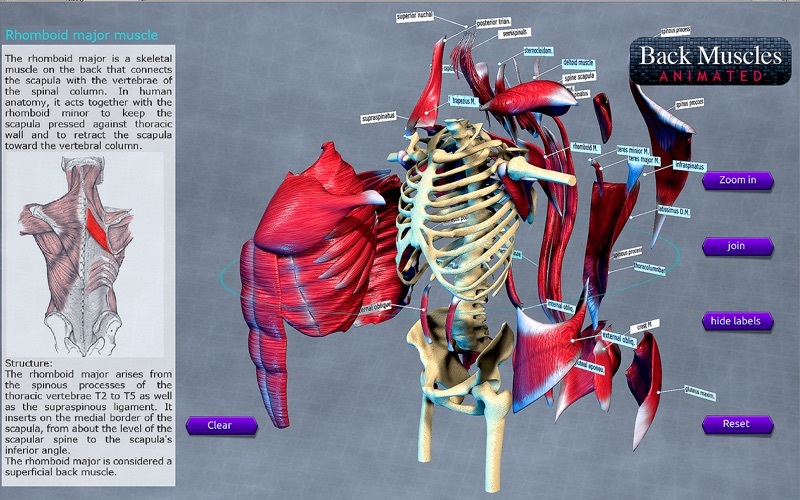 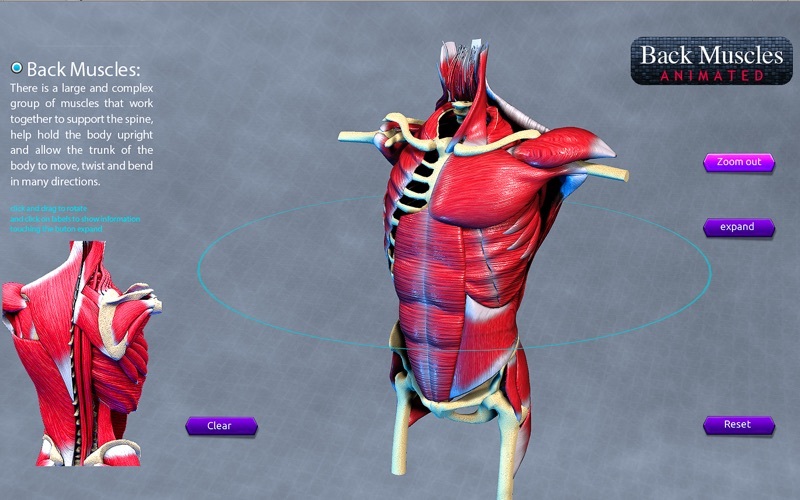 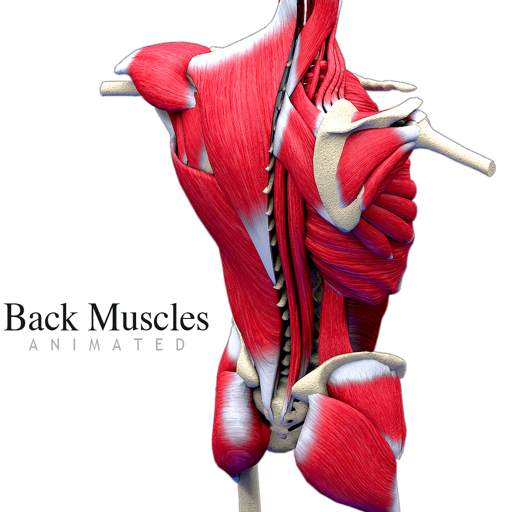 Including labels with great information of back muscles with animation and separated muscles parts. 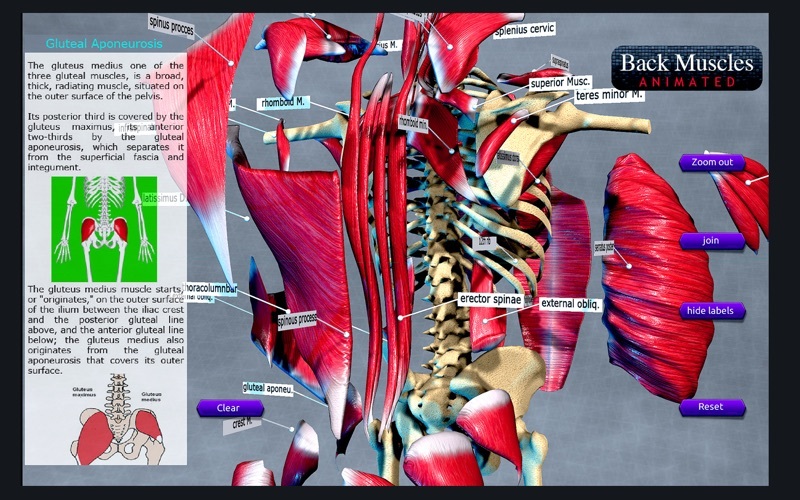 This Application shows the parts of the back muscles very detailed, with accurate information even on deep leyer of muscles. 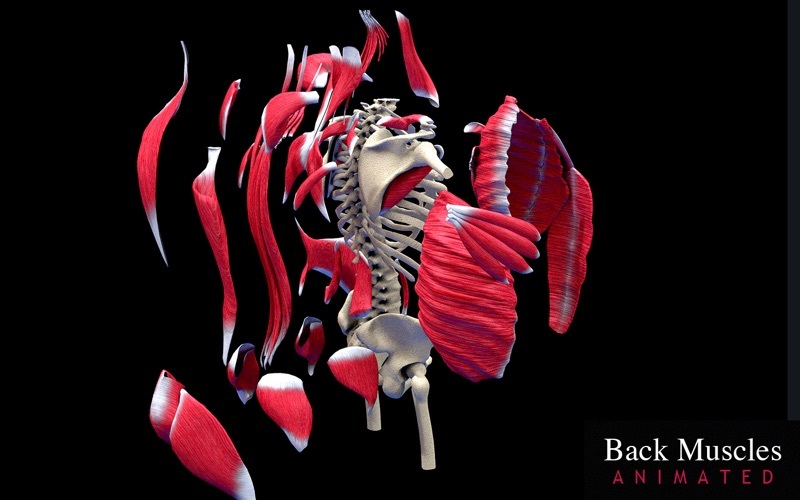 This back muscles application designed, based on real anatomy study, functioning, shape, structure, pigmentation and ubication attach on body bones. 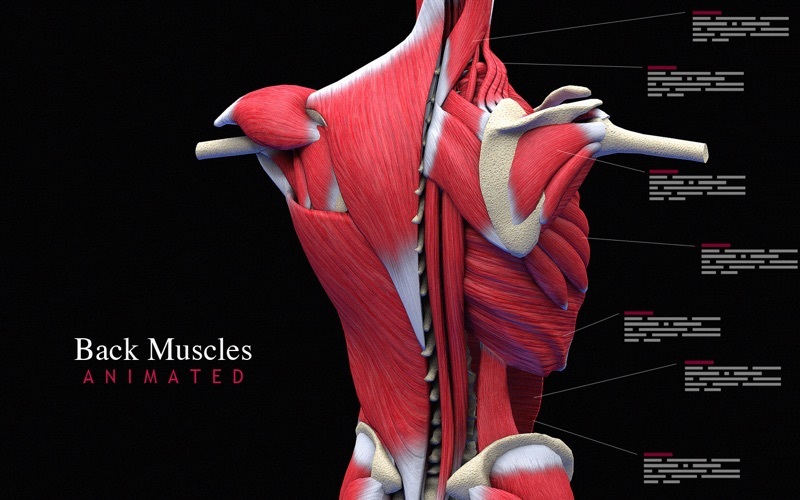 Including 36 labels with muscle anatomy information.